We have provided Android/iOS smartphone APP to control our bluetooth relay board. 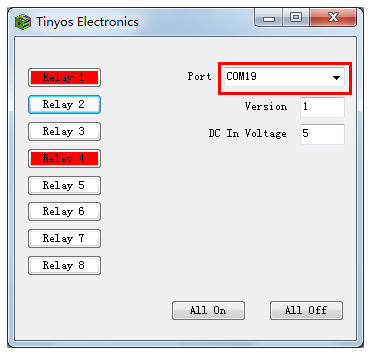 We also have a PC test program can control this relay board via USB port(serial port). Is it possible use PC control this relay wirelessly? The answer is YES!! Power up your bluetooth relay board. BluetoothBee module slow blink. 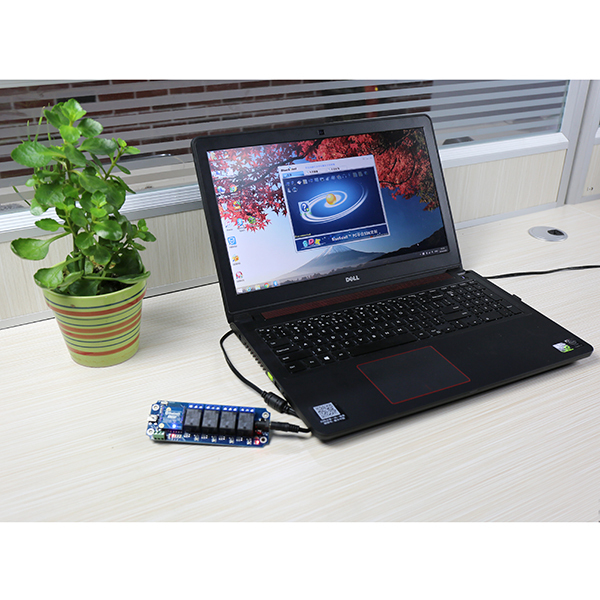 Plug the bluetooth adapter usb module on the PC USB port. Open "BlueSoleil" program. Select the middle yellow ball->Right click->Search devices. 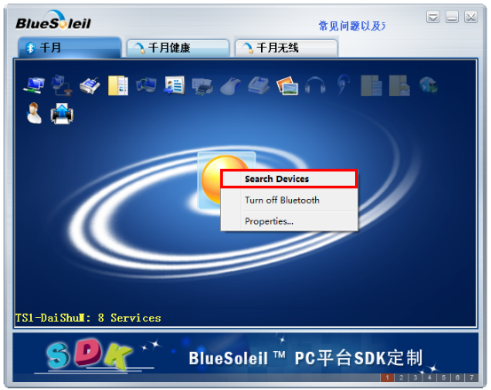 You wil find your relay board in the surrounding bluetooth devices. 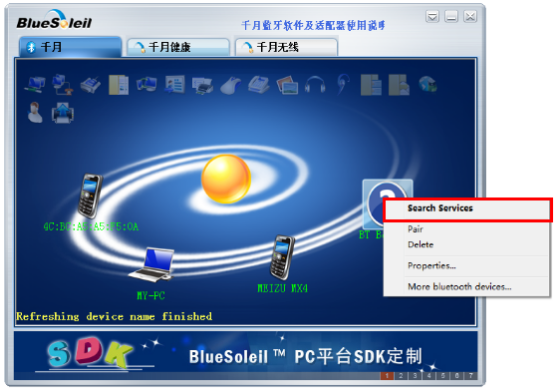 Here our bluetooth named: "BT Bee-EDR"
Select the "BT Bee-EDR"->Right click->Search Services. 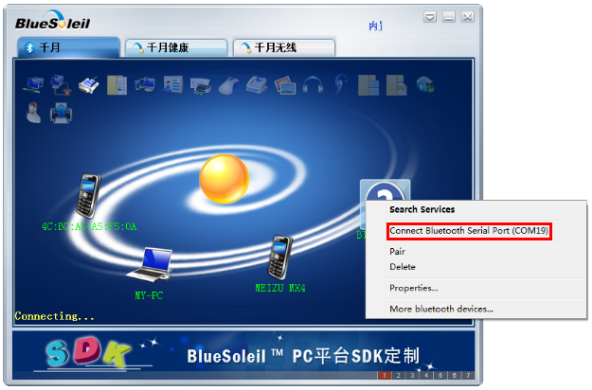 Select the "BT Bee-EDR"->Right click->Connect Bluetooth Serial port->input pair number:1234. Bluetooth paired. 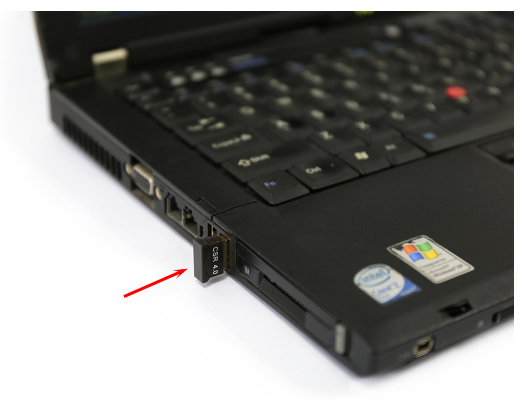 A new COM port created. Open TOSR.exe. 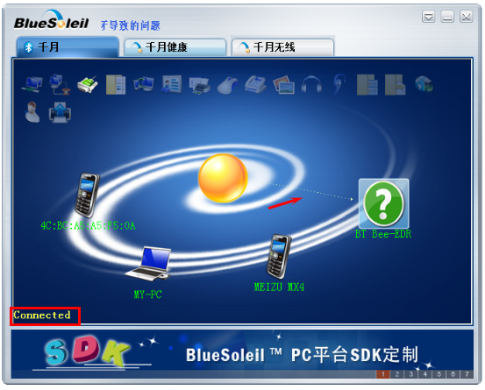 Select the correct COM port. You will be able to control the relay board now!